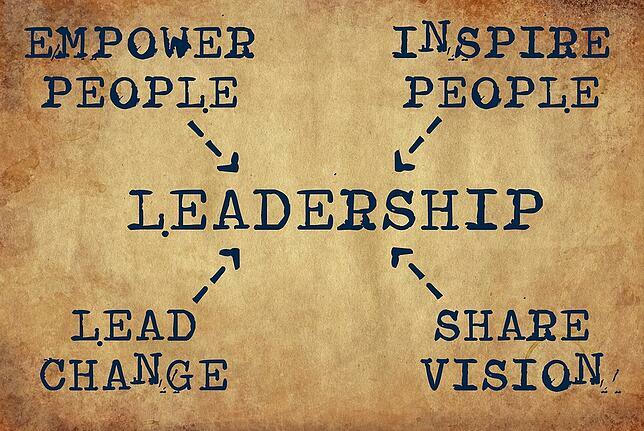 True leadership is about inspiration, influence and impact, how true does this ring? Inspiration, influence and impact, sure they sound good but what do they really mean? Inspiration is about sharing your vision, setting a destination and getting your team excited about reaching it. Think about the leaders who have most inspired you. Maybe it was a coach, a teacher, a mentor but it isn’t likely it was their position or title that instilled confidence or awe but rather their ability to help us see something we couldn’t see before. Maybe they saw something in us and challenged us to work for it. Maybe they showed us possibilities for our organization we had not seen before. Do you inspire your team? Do you get your people excited about pushing through their own limitations and achieving more? Are you effectively sharing your vision for your organization with your team? Are you finding and sharing ways to have fun and get excited about the work? Influence is essentially your ability to get people to do what you want and follow you. Influence can be built from consideration, trust, competency, past successes, reliability and more. After all, the more your people trust your intentions and competence, the more comfortable they are following your lead. None of us can operate at one-hundred percent here because not everything we hope for comes to fruition and setbacks and obstacles ultimately fall on our shoulders. Still, the better we treat people, the more we keep our word and the more we set goals and achieve them, the more influence we wield. Without influence, our vision is on shaky ground because it’s unlikely we can get there on our own without a team of very good people around us. Finally, impact is the results we get. If you are a leader you know, results count. No matter how enthusiastic you are, no matter what influence you yield, if you don’t get results, none of it matters. We may have a good intent but really, impact is what is ultimately the measuring stick of success. Did we do the things we set out to do? Did we effectively push through difficulties and remove obstacles? Did we change course when needed? Did we offer our people the tools to succeed? Did we succeed? Are you holding your people accountable to those factors you know are likely to result in a win? Are you working with the end impact in mind? Are you lining up the win with all of the small steps required to get a victory? Leadership can be an elusive, hard to pin down set of qualities but certainly, inspiration, influence and impact all play into our success within our organizations. This quote really resonates with me. You just can’t guide people if you yourself don’t know where you are going. You may not always be able to cut a clear path to where you are headed but you at least have to have some idea of the destination. In fact, I would contend that a huge chunk of a leader’s energy, time and other resources should be spent mapping that destination. All too often leaders, even the best of us, get bogged down on details rather than spend the time we need creating a vision for our organizations and planning the path to get everyone there. This can happen for any number of reasons and it can happen to even the most adept and laser-focused among us. I know some of us get sidetracked on elements of our business that could easily be delegated to someone else but that we really like doing. I know a great many business leaders that love tagging along on a sales call, or intimately planning their company’s marketing or interviewing all levels of staff, not because they have to but because they like to. I think this is fine as we all have to stay engaged and derive the most pleasure and satisfaction from our work. But I also see leaders getting stuck doing things they really don’t want to do that also could be delegated. Maybe they think no one else can do it like they can (probably true) or that they don’t have the time to show someone how to do it (also true but shortsighted). It IS difficult to pass along a responsibility you once did to someone else. The reality is they won’t do it precisely they way you did and yes, it will take more time up front to get them ramped up, but the time saved and opened up to do things only you can do is huge long term. As the new year approaches, I am reminded to refocus my efforts on those areas of my organization that really can’t be done by anyone else as well as help grow the people around me to take on new challenges and responsibilities that allow me to do the same. I also challenge all of us to work on our maps, our visions for our companies so that we can indeed know the way, go the way and show the way. Happy New Year! Halloween is soon upon us and it got me thinking about costumes, disguises and masks. During Halloween, and really, all year long, these are the things we use to try on other roles for size getting creative about what we might be, obscure our identity, and even cover our emotions in an effort to appear other than we are. As leaders, we are responsible for a great deal and most of us wear multiple hats and play a variety of roles both in our businesses and in the other parts of our lives. We choose to and even have to wear a mask at times. Call it a defense, call it armor or a way to push through our own fear, insecurity or discomfort, but most of us do it on occasion. It might be a mask we put on of cool detachment when we are negotiating an important deal. Or perhaps it is the mask of calm as we wear in a crisis that is designed to keep others calm and lend an air of stability and security, though we ourselves might be feeling unmoored. A mask can be both a positive and a negative. Of course leadership often requires us to ‘mask’ our immediate feelings and charge ahead into the unknown. And sometimes, this external composure, even though we might be wavering internally, can help chart a course to smoother waters. But if the mask is becoming so comfortable that you forget to take it off, you might want to think about where it is useful and where it isn’t. For example, a mask of cool collectedness can be good when seas are rocky but if the boat is literally falling apart and you are cool and collected, your team will think you are just in denial or insane not recognizing things falling apart around you. And when having to let an employee go or make difficult choices in your business, a calm head and some detachment can be useful, but not to the point where people think you are inhuman or indifferent to decisions that are legitimately tough on other people. The mask can be useful but if you wear it so much you feel disconnected from who you really are it’s likely time to rethink your approach. Some tough times call for a mask and others call for being fully present and even vulnerable. While sometimes it can feel that vulnerability and acknowledging and showing your people that something is hard or uncomfortable or emotional can seem weak, it is also perceived as strength. Bravery is after all not being fearless but about being afraid and doing it anyway. It isn’t the absence of fear but the triumph over it. And seeing someone in a leadership position acknowledge fear, stress, uncertainty and discomfort and watch them move forward anyhow can be incredibly affirming and inspiring for our people. Not only do they see us as more human, but they see us brave, courageous, gutsy, bold and unshakeable. 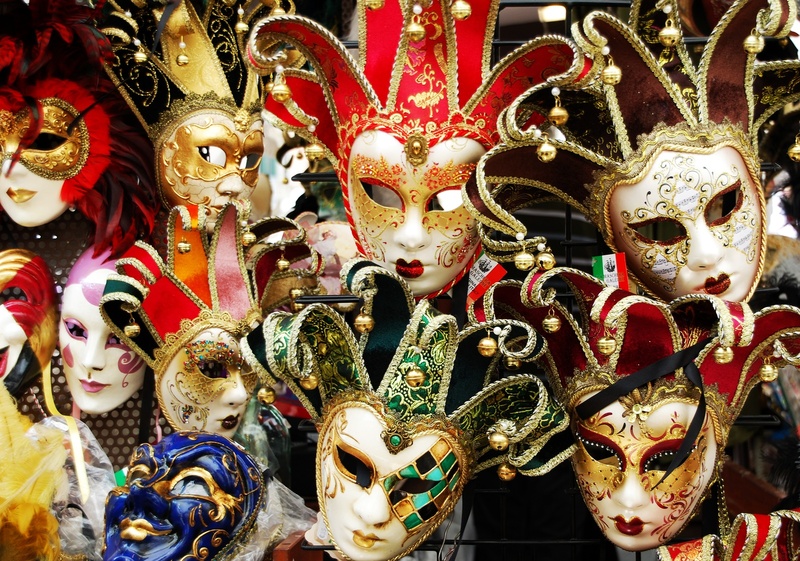 As this season of masks, costumes and disguises descends upon us, take a moment to reflect where in your life the mask serves you, and where it does not. Where the mask is a tool and where authenticity should lead. Vision, initiative, influence, integrity, and impact are major elements of effective leadership and most of these come from you, mask off, face to face. Whether you are announcing exciting new changes within your organization or terminating an employee, these conversations can be difficult. 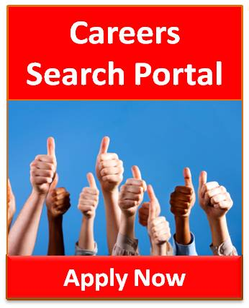 Sometimes they are exciting for you but potentially scary for employees, like major company or staffing changes. Sometimes, like terminations and layoffs, there is simply no good news to counter the bad news. While you can’t make everyone happy or make bad news happy, as a leader, you can handle tough conversations from a position of strong, capable leadership and make these conversations as easy and smooth as possible. What can you do to make your tough conversations go better for everyone involved? Be honest and be direct. Sugar coating or stepping around the elephant in the room doesn’t help anyone. Get to the point, be honest, be direct and wherever possible, be kind. Of course, some truths or information cannot be shared but do your best to be direct about what is happening and why. People recover from change better if they at least understand it. Don’t read from a script but it’s a good idea to collect your thoughts beforehand. Use a few bullet points if you need them. Practice if it helps you. With tough or weighty conversations, preparation is key. Not only does it help you make sure you touch on important points, it can reduce your discomfort by helping you feel ready to present information and answer questions with at least some amount of ease. Be clear and provide enough information. This can be hard because when you know the details, it can be easy to think you have fully communicated when perhaps you have left out important information that might provide much needed context. Make sure you customize your conversation to the intended recipient and you give them the details that are meaningful to them. Don’t let small stumbles throw you off course. There are very few people who relish tough conversations so if you trip over your words or misstep, just correct yourself if you need to and keep moving. Our mistakes or misspeaks are more noticeable to us than anyone else. Put yourself in your listener’s shoes. If you are changing someone’s work life in a meaningful way, understand that whether it is positive or negative, news takes time to adjust to. Don’t get bent out of shape or defensive if you announce exciting news to your team only to see a sea of unsure expressions and trepidation. You likely have had a while to warm to changes, you team may not. If it’s difficult news, deal with your feelings somewhere else. Listen, it’s hard to lay off an employee, terminate an employee or explain a restructuring plan to a room full of employees, only some of which will ultimately have a job, losing a key piece of business or whatever your bad news is. Being a leader doesn’t mean you don’t have feelings, just that you don’t burden the people you lead with them. So keep the “I feel so bad about this” and “I wish I didn’t have to do this” “this is so hard for me” for your spouse, business partner or therapist. No one getting bad news really cares how you feel. Be kind and compassionate where possible. Of course not every situation calls for it but wherever you can, be a human being who cares about people. It doesn’t mean you have to help them or feel sorry for them, but wherever possible, be nice. Tough conversations are not pleasant, but compassion can help you deliver bad news as fair and kindly as possible. Keep in mind people remember how you made them feel and it’s a small world. If it doesn’t go so great, don’t beat yourself up. Review what worked, what didn’t and adjust course accordingly. As leaders, we quite naturally spend a great deal of our time and focus taking care of others, taking care of our businesses, our families and our people. So it isn’t surprising that more than a few leaders aren’t so great at taking care of themselves. Why is this kind of self care so tough for so many of us to do? First, we are legitimately busy. I know everyone and their brother likes to say, “oh, I’m so busy,” but the leaders I know, now THEY are busy. When you are busy, it’s easy to shift your needs to the bottom of that very big pile. It isn’t surprising that more than a few leaders aren’t so great at taking care of themselves. But here in lies the rub, if you don’t make the time to take care of you, your capacity to help others will diminish in time. You can become tired, the kind of tired a nap or good night’s sleep can’t fix. You get burnt out and even pessimistic which is unusual for people like us with eyes usually fixed ahead on the positives and possibilities. So as leaders, we have to remember that in spite of our sometimes superhuman powers of drive, vision, work ethic and more, we aren’t robots and we need to make sure we fall somewhere on that list of people and things to be taken care of. As leaders, we have to remember that in spite of our sometimes superhuman powers of drive, vision, work ethic and more, we aren’t robots. And really, how can we possibly lead others effectively, set a good example, inspire and create an environment where human needs are recognized and supported if we can’t do these things for ourselves first? So think about what your needs are, what are those things that make you feel good, cared for and content? It could be leisurely dinners with your family, a funny movie that gets you laughing and helps you decompress from a stressful day. It might be a commitment to getting to the gym to support your physical health, a pledge to going to bed a little earlier, eat better, get your physical and preventative health checks done or whatever is on your radar for caring for your physical self. For many of us it is nurturing those important relationships that are some of the motivation to lead in the first place. That can mean carving out more time for spouses, partners and children. 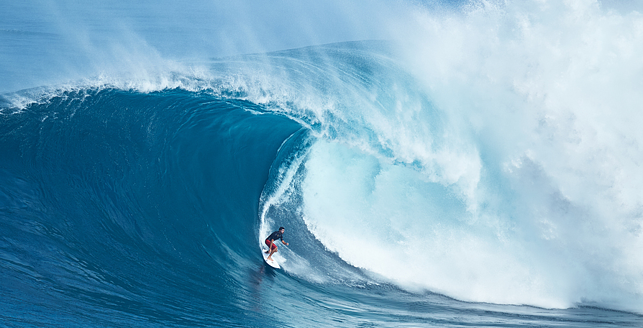 Listen, you can’t surf the same wave over and over again without eventually getting bored of it no matter how great it felt the first time you were out there. The best leaders understand that if we don’t work to check in with ourselves and take care of our needs, our leadership abilities are diminished or can even burn out entirely. It isn’t selfish to take care of yourself, it’s a critical part of being able to be of service to others. And by the way, taking care of yourself also means working to keep not just your team inspired but YOU inspired. Chances are that if you are in a leadership position, you’re doing what you do because at some point along the way, something or someone inspired you. If you don’t continually look for ways to be inspired and motivated, in time, work can feel more and more like well, work. Listen, you can’t surf the same wave over and over again without eventually getting bored of it no matter how great it felt the first time you were out there. So seek out new sources of inspiration to help keep you engaged and excited about the next step and help you sharpen your sense of purpose. We talk about teamwork quite a lot in the world of business. We want more engaged, more productive teams. We want them to be more self-driven, more successful. And yet, all too often, we look at ourselves as the ‘leader’ and our employees as the ‘team’ when really, we ARE the team. 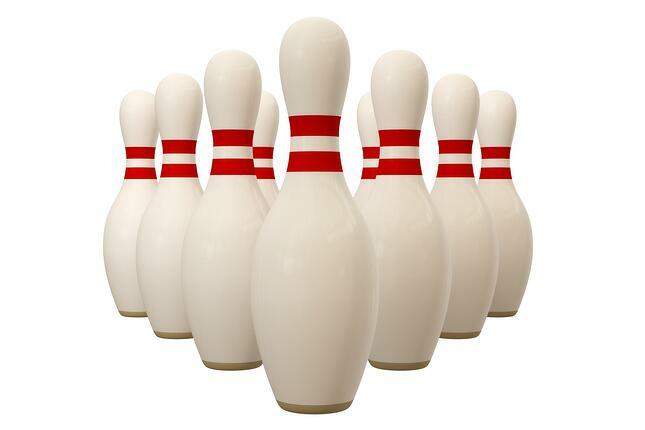 Like the front pin in a rack of bowling pins, if we go down, you can bet those around us will. As the leader, WE determine the overall energy of our teams. WE set the pace for performance and expectations. No matter how capable our people are, it isn’t typical that they will meet standards that we don’t set AND live by. What standards and goals must we as leaders embrace personally and professionally to create the right atmosphere and motivation for our teams? There has to be respect, always. If you don’t respect someone, get them out because whether you want it to or not, your team will see it and it will foster a lack of respect within your team. This sounds like a no brainer, of course we want to help each other, but everyone gets busy, focused on their own work and before long, we become boats adrift alone in the ocean instead of a fleet of ships in formation. The only way to counter this is to actively set an intention to help each other even if it creates more work or takes you away from something. As long as it’s working toward common goals, we must be ready to assist our team members. In order to grow our teams we have to keep everyone in the loop. We have to remind them where we are going and we have to do it often. Sharing our vision helps get our people excited and knowing the goals, large and small, gives them the energy and motivation to keep going even when it gets hard. Look, leaders are people too. We get frustrated, angry, impatient, disappointed, incredulous, all of it. We can’t keep the emotions from happening but we can keep them in check. We can do this by practicing pausing before we speak or react. When there is an issue, pause, take a breath before you react. And if it’s hard to stay calm, stick a pin in it. You can say, “you know what, I’d like to think about this” or “let’s come back to this later after I have had a chance to get all of the information.” This way you can process your negative emotions on your own and talk to your people when you are in the headspace to problem solve. Ultimately these are the same thing right? Trying to fix something that isn’t working. But focusing on solutions invites your team to address an issue and accept responsibility without shame and blame. People just naturally do better when there is room for a fix and solutions without getting mired in their failures. It is so simple, you cannot expect your employees to keep their commitments if you do not. It’s not about being dishonest or untrustworthy, but when you let things slide that you said you would do, even small things, over time you erode trust. Trust is vital to a well performing team. Things move so fast and there is always so much to do, so it’s hard to pause and catch up. So when you want to do something nice for your team, don’t just bring in lunch for them, HAVE lunch with them. Eat together, take those twenty minutes and don’t have a meeting, just eat. Talk about business, problems, life, whatever, but be present. Sure you could be checking email or making a dent in the paperwork that threatens to topple your desk, but you’ll get that done anyhow. You’ll net much more giving a little bit of yourself and your time to your team. Accept that in a leadership position you will always be expected and motivated to do more. Whether it’s the position, the prestige or the paycheck, chances are, you are better incentivized to keep going long after the clock hits 5:00pm. It’s unlikely you can get your team to work harder than you but when they see you continually put in the extra effort, they are more likely to give you their all. It’s hard to continually drive team members to a goal if you don’t celebrate reaching it. Come on, we are all people and people like to be complimented, validated, rewarded, all of it. It doesn’t really matter WHAT you choose to do but do it. Here at Stathakis, our people are the foundation of our business. Being in the service business, if our people are not trained, motivated and managed well, nothing else really matters. There simply is no way to make up for people problems in a service business. But motivating people isn’t a straight line from A to B. People are individuals and what may excite one person may not do anything for another. And let’s face it, no matter how talented someone is or how self-driven, we ALL need to be motivated to continually do our best and strive higher, even us leaders. So do you want to know how to motivate your teams? Great leaders don’t have just one way to motivate people, they have at least a dozen ways! If you as a leader need some motivation to motivate, consider the following list of some of my go to ways to get people fired up, engaged in the work we do and doing their best. Ask questions because the more informed you are the better your decisions will be and the more your people will respect them. If they believe you are making decisions without really knowing how it impacts everyone, they are far less likely to comply. Lots of questions signals that you really want to know what is going on and makes your help and input much more effective. Provide specific, positive feedback to your people. People need to know what they are doing right and they need you to notice. Specific praise from you the leader is gas in your employee’s tank and the fuel for more good work. Why? Because event he best employees may get defeated and deflated if they think no one notices their effort. And even if you have a problematic or less than stellar team member, try your best to find something, anything to call out as positive, it can be remarkably effective in turning things around. But don’t be afraid to hold people accountable. Positive feedback is important to morale but so is accountability. Your people need to know that when they deliver less than expected, it is unacceptable. To your lower performers, this accountability can provide the incentive to toe the line. For your high performing people, seeing others face consequences for nonperformance is its own kind of positive feedback. Be clear and realistic about what you expect. Your people can’t win the race if they don’t know where the finish line is. And don’t set expectations too high hoping the higher they are, the harder your people will work. High-level performers get demotivated if the goal is unreachable or unrealistic. Walk the walk. You must, must lead by example or what you say carries significantly less weight. You are a powerful role model but if you have rules that you don’t follow, you will be forced to rely on threats and force to assure compliance. But when you lead by example, your team is INSPIRED to do better. Inspiration is much more effective long term. Be a know-it-all. Your competency in what you do provides direction and stability for your team. Understanding the many moving parts of your business is a critical part of leadership. 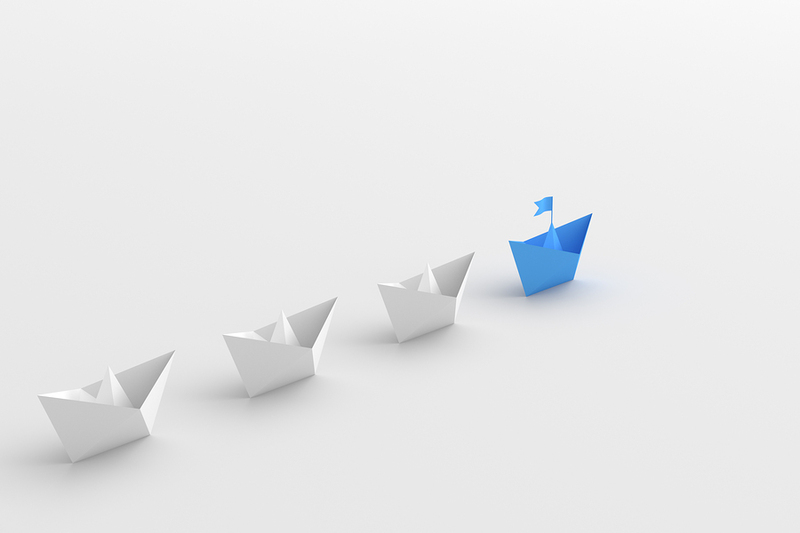 Your employees need to feel like there is a reason you are in charge and captaining the ship, you are the expert. That doesn’t mean you can’t ever be wrong and even go off course, only that you must be the one who continually strives to know and understand more because you are the one who has to see the bigger picture. Reward and recognize hard work, integrity and responsibility. These people are the core of your business and need to be told, rewarded and grown. People that are natural hard workers with a high degree of integrity and responsibility can be the best seeds to plant long term. Which brings us to the next key point. Encourage and look for opportunities to grow good people. If you find an employee that has desire, a willingness to learn and work and a sense of responsibility, you can TEACH them the skills for the job. Training someone on reporting or how to use inspection software is MUCH easier than trying to instill a strong work ethic in someone that doesn’t already have one. Be authentic and connect with your people. People can sense authenticity and it builds trust. That doesn’t mean you have to be nice or touchy-feely, just be yourself. And get to know your people because people who feel seen and cared about will work so much harder for you. 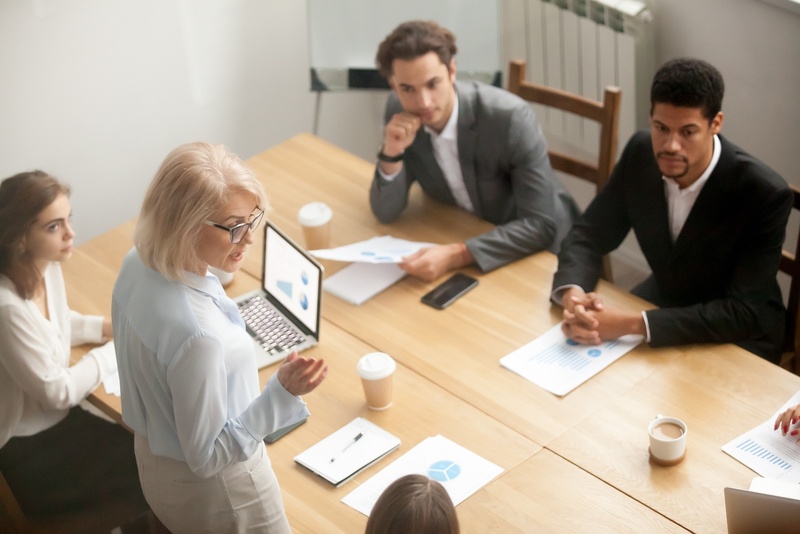 If you think you don’t have time, delegate some of your other duties to managers under you because the caring and connection must come from you. Be a visionary. As a leader, you MUST offer a clear picture of the future for your people. Of course change is inevitable but presenting a vision for the future as you see it gives your employees a sense of security in your leadership. Leading a large team is like nothing else. It is often tiring, thankless, lonely and comes with so much responsibility, even the toughest and most well suited among us can falter or lose sight of our real purpose in leading a team. When you are struggling to motivate your team, go back to these points and work out some ways to do more and better for you, your people and your organization. The work is hard but the rewards are there. Innovations in our industry, like team cleaning, tech savvy floor cleaning machines, color coded microfiber cleaning cloths and even janitorial inspection software were all born from someone thinking, there has to be a better way to do this. Progress in the Building Services industry, like most other industries, is reliant on a balance of creativity and consistency, straddling the line between innovation and standardization. Or more plainly put, we must be creative in coming up with solutions to our customers’ problems and pain points, but then we must consistently use those fixes to create reliability. We need to innovate and then standardize. After all, what is the point of coming up with creative, innovative solutions if we don’t maximize their impact by applying them across the board? There is a balance here because all too often, consistency and standardization can be seen as killing creativity and innovation. But in an industry like ours, we are ultimately in charge of solving problems, not creating for creation’s sake. 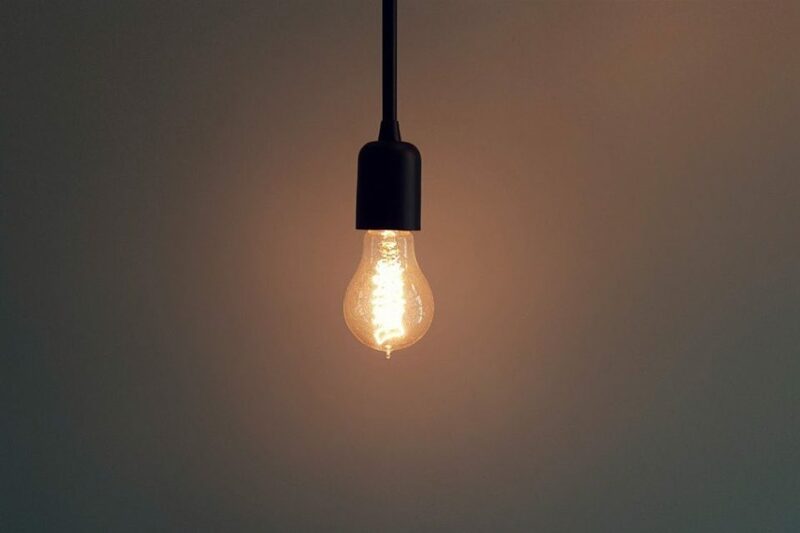 So our creative energy and time spent innovating is in the service of our clients and our own business finding new and better ways to do what we do. Companies don’t grow because they do the same thing over and over. Yet, they also don’t succeed by constantly shifting their approach. Incremental innovation and using creativity to solve problems and then creating standardized approaches from these innovations moves our industry forward. "I have two kinds of problems: the urgent and the important. 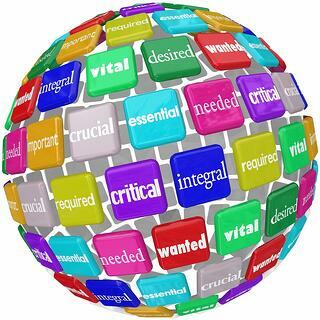 The urgent are not important, and the important are never urgent." From this, we get the so called "Eisenhower Principle," an idea about the optimal way to view and prioritize your workload. Let’s not forget that before becoming president, Eisenhower rose through the ranks of the United States Army, serving as a five-star general and the Supreme Commander of the Allied Forces during World War II. And of course as POTUS, former President Eisenhower was by all standards, a very productive leader. Now, these principles can help anyone wade through the day and structure it in such a way as to get more of their critical work done. But no one needs this kind of balancing of important and urgent as much as leaders do. So what is the idea of important and urgent? First let’s look at important versus urgent and what they mean in this context. Important activities generally lead to outcomes that drive us forward in achieving our goals, be they professional or personal. While some important tasks are also urgent, this isn’t typically the case. The important activities tend to be more long range and because the rewards or consequences of doing/not doing them are down the road, many of us put them off in order to focus on what we perceive as urgent. Urgent activities require immediate attention, and are more often related to achieving someone else's objectives. That urgency often puts us in a reactive mode. Urgent activities are frequently the ones we focus on because they demand our attention and the consequences of ignoring them are felt immediately. What is so often is the biggest source of tension and pressure in the lives of leaders? It is the time demands placed on us. Think about the personal and professional goals you balance on any given day. Then think about how often you find yourself wishing you had just a few more hours in the day to contribute to them. So how can these ideas of urgent and important help you balance your workload and prioritize better? 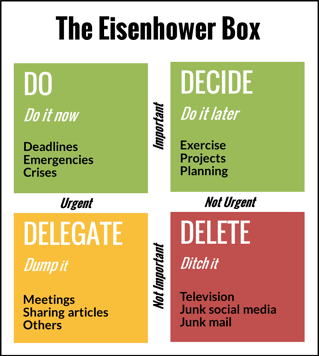 It isn’t completely revolutionary, but consider the Eisenhower “box” as a way to visualize urgent versus important, especially if you are in a high pressure, high demand leadership position. There are, of course, tasks that are urgent AND important and these items you will do immediately. There are also activities that are important, but not urgent. These you schedule to do later. But you must really make room for these in order to move forward on YOUR most important goals and objectives. Then we have those items that are urgent, but not important. As a leader, these activities are best delegated to someone else. Finally, you have those activities that are neither urgent nor important and the goal here is to remove as many of these unnecessary distractions as possible. Ideally, you should put the most resources into the Important, but not Urgent quadrant. These items may not have a pressing deadline but are nonetheless important. They are the activities that you believe are most likely to help you find happiness, contentment and success. This also means that as a leader, you may have to give up and delegate tasks that you while you enjoy, are not critical so that you can focus on long range planning and the things you simply cannot delegate to someone else. And if you aren’t certain what should go in your Important But Not Urgent quadrant, you might need to spend some time considering what is really important to you and ultimately, what you want your life to look like. If you don’t, it is all too easy to get bogged down with Urgent and never get to your Important. As leaders, we all struggle to balance and prioritize our workloads, delegate and make time for long term professional and personal goals. The Eisenhower Square, while not a cure all for the stress and pressure of leadership, is another way to look at what you are doing and adjust to get you closer to your vision for your life. The janitorial business, like many other businesses, has become a hotbed of new technology. From people processes to floor cleaning equipment to janitorial inspections and more, it seems more and more of our business is becoming automated or at the very least, directed by the technologies we have come to depend upon. Technology in commercial cleaning has grown so quickly that we often forget where we started back in the mop and bucket days. While there are always some downsides or adjustments to emerging technologies, innovation is so integral to both the growth and professionalism of our industry and managing costs and quality for our customers. Technology has driven efficiency, cost savings, even safety and enhanced compliance. 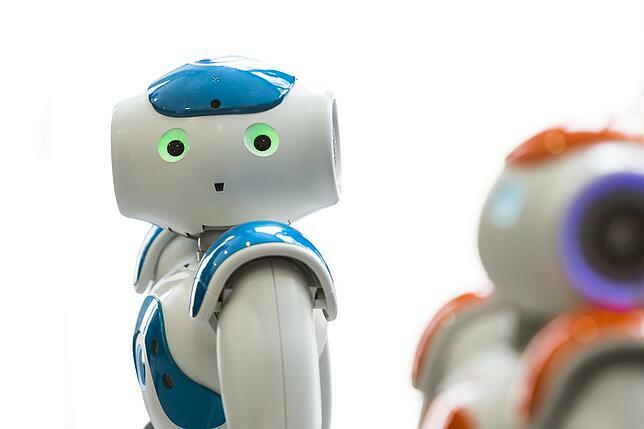 While talk of robots may seem farfetched or the stuff movies are made of, technology will take us there eventually, perhaps much sooner than we think. Some of us are slow to change, often to the detriment of our businesses and our customers. While others of us reach and grab at every new shiny toy, which isn’t often the best long term strategy. So how do we find the middle ground when we live in a period with such dramatic, rapidly advancing technology? First, we must focus on technology for solving problems rather than technology simply for technology’s sake. Floor care has, for example, made incredible leaps and bounds in terms of automation and required labor hours. This fine tunes the service and cuts long term costs. Small advances are continually reshaping an entire industry. Likewise, as some janitorial companies were struggling with issues of consistency and communication in their janitorial inspections, smartphone applications, like QualityChex were created to manage this problem by creating consistency through accountability and then communicating findings to everyone that needed the information. A great use of available technologies to create an easy process to manage a vital element of service. Another issue? Janitorial budget cuts meant a great many of our facility managers just didn’t have the dollars they once did. They still needed solid maintenance so between Smart Cleaning processes like zone cleaning and janitorial equipment efficiencies, we were able to help them get closer to their hard numbers without their overall maintenance slipping beneath an acceptable level. The reality is that even though technology is changing our industry so fast it can feel tough to keep up with, as an industry, we must realize the vast benefits technology has to offer. Those companies on the forefront of it will be best poised to over their customers convenience, efficiency, cost saving, value and results now and in the future.